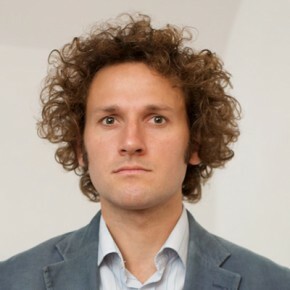 After deciding not to go to the Royal College of Music to pursue a career as a saxophonist, James took up a place at New College, Oxford University and graduated in 2003 with a degree in Modern History. He then joined the inaugural cohort of Teach First, an innovative teaching program that aims to eradicate educational disadvantage. The experience of teaching history in a very successful inner city school ignited James’ interest in education, particularly urban education, and his strong belief that with the right leadership and resources, schools in the most challenging circumstances can be successful. In 2005 James was elected by his peers to be the first Teach First Participant President and to represent Teach First teachers to business sponsors, government and schools. James took a break from work to complete, with three friends, a four-month, five thousand-mile bicycle ride from Kampala, Uganda to Cape Town, South Africa, raising funds and awareness for PEAS – Promoting Equality in African Schools. They chose to travel on bicycle as it allowed them total freedom to stop anywhere and speak to anyone (from school children running alongside them to soldiers at checkpoints) and made their surroundings very available to them. Upon his return to London James joined the Institute for Philanthropy to set up the Youth and Philanthropy Initiative (YPI) in the UK. YPI is an innovative and unique citizenship program for schools founded originally in Toronto, Canada. He is currently a Trustee of Teach First, a mentor for two students from disadvantaged backgrounds who are aiming for university, and he recently contributed to a book of education policy, ‘Lessons from the Front’ presented at the Houses of Parliament . James continues to use his own experience to contribute to making the education equitable as the Program Director of STIR, an NGO that harnesses the innovation of the most dynamic teachers and schools in order to improve educational outcomes for the poorest children. In August 2013, he co-authored an article about the need for this work and STIR’s vision for the future. As a Sauvé Scholar, James researched the changing role of government in education. He explored means by which schools can be encouraged to collaborate effectively even as they are being granted increasing freedom over their curriculum and finances (which he generally sees as a positive change). His Academic Mentor was Associate Professor Kevin McDonough of the McGill Department of Integrated Studies in Education, who has written extensively on public and inclusive education.